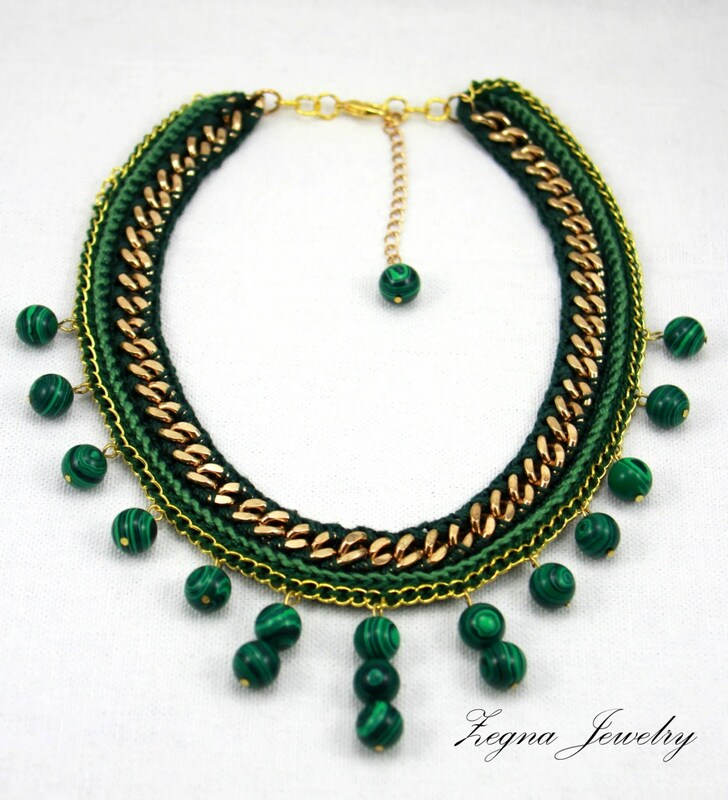 Stunning necklace is crocheted of 100% Egyptian Cotton yarn and featured with 10mm malachite beads. 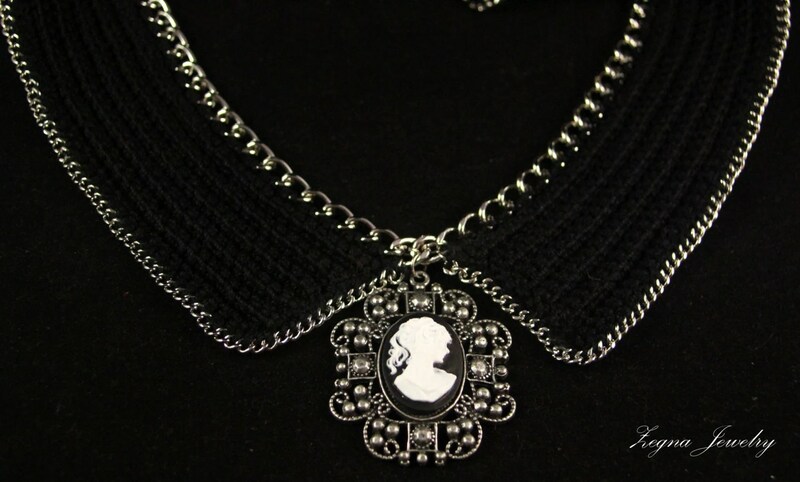 This beautiful necklace will make any outfit unique! Materials: Gold tone chunky curb chain, 100% Egyptian cotton yarn, 10 mm malachite beads. Throughout history, some people have come to believe that malachite possesses special powers to bring about peace, love, success in life, and personal protection from harm. Some people even wore them as a means to detect any kind of danger coming their way, thinking that the malachite would break into pieces when danger arrived. It’s been called the guardian stone. Marant’s specialties include skinny jeans, slouchy tees, boho prints, flirty skirts and those ubiquitous wedge sneakers. Of all the H&M collaborations I bought only two T-shirts from Marni for H&M. What has been your most popular designer collaboration to date? 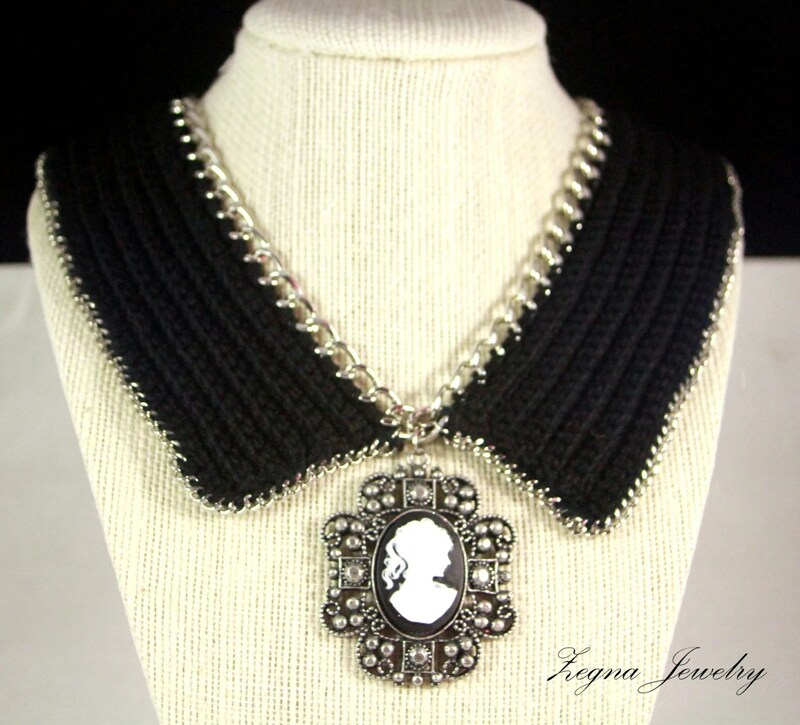 Beautiful and bright crochet necklace will attract lot’s of attention to your outfit! 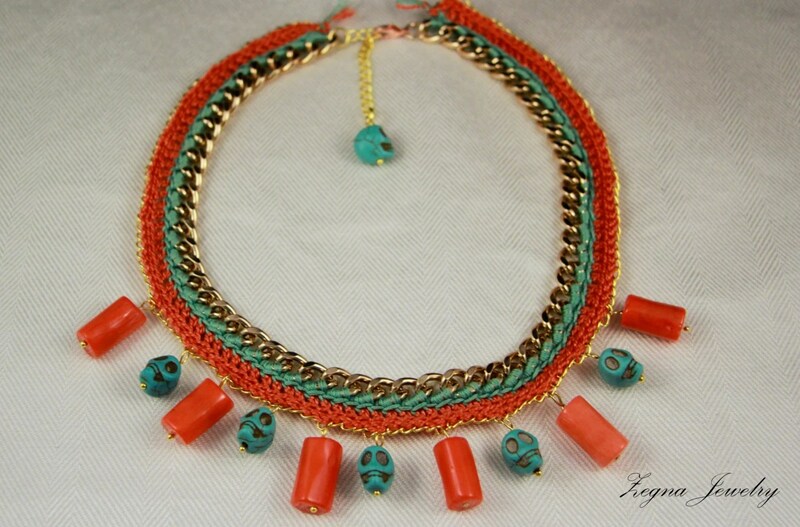 Crocheted of 100% Egiptian cotton thread and featured with dyed bamboo coral sticks and Turquoise dyed howlite beads. Materials: Gold tone chunky chain, 100% egyptian cotton thread, gold tone copper wire, dyed bamboo coral sticks,Turquoise dyed howlite beads.